So you want to learn the skills to be the next Phil Helmuth, Daniel Negreanu, or Phil Ivey? On one hand, learning the strategies and tactics of poker can be costly if you are playing for real money all the time. On the other hand, online “free poker sites” don’t exactly have the calibre of talent that will help you improve your game, and you won’t have the same benefits of experiencing the pressure of a high-stakes multi-table tournament. What if I told you there are free poker tournaments for you to practice your poker skills, without having to pay a buy-in or entry fee, and if you win the tournament you get real money? Well, this reality exists and they’re called “freeroll poker tournaments”. Freeroll tournaments are a type of poker tournament that costs nothing for you to enter but offer you the chance to win real money or real value prizes. Most of the online real money poker websites offer freeroll tournaments to players who make a deposit on their platform, or from paying “VIP rewards points” that are earned from entering into real money poker tournaments. The prizes offered in these freeroll tournaments vary a lot, and they can include real money, physical goods and merchandise such as electronics, clothing, jewellery, plane tickets or entry into larger real money poker tournaments. The ability to win prizes without risking your money is the main appeal for freeroll tournaments, and this is why it’s popular among new poker players. What’s The Difference Between A Freeroll Tournament and a Free Poker Tournament? Freeroll tournaments are not to be confused with the “free online poker” sites. These sites only offer poker tournaments with “play money” and there is no opportunity to win real money prizes. Even though you may win and accumulate a large amount of play money, there is no real benefit to doing so other than keeping score, or for gaining ‘kudos’ among the players on the website. A freeroll tournament is hosted on a real online poker site, where the majority of players are in competition for real money. Although there is no monetary “buy-in” for these freeroll tournaments, some poker sites require you to make a deposit into your account to gain access to freeroll tournaments or use your VIP rewards points. Since you can win money in these freeroll tournaments, many professional poker players got their start playing freerolls to gain experience and build a bankroll. There are a number of benefits to playing freeroll tournaments. First, freerolls give new players the chance to gain valuable experience playing in tournaments. Since there are many moving parts in a multi-table tournament, it’s easy to make a mistake and lose your entire stack of chips early on in the tournament if you don’t have any experience. It can be costly to do this if you are regularly entering tournaments with a buy-in fee. Freerolls let you learn how to manage your bankroll, play from your position and use strategies in a multi-table tournament environment, without risking any money. Next, freerolls give you the opportunity to build up a bankroll. If you are starting off without a lot of funds to allocate to poker, then entering into freerolls will give you the opportunity to build a stack of money. After winning or getting in the money on a few freerolls, you’ll have the bankroll to enter into some larger tournaments. Finally, freerolls can give you access to the big money tournaments. Often the buy-in for million dollar tournaments is very high and can reach into the tens of thousands. Some poker tournaments are VIP only or by invitation only. So for someone who has the poker skills but is not wealthy enough to afford the buy-in, a freeroll tournament that offers entry into a big money tournament as their winning prize is their ticket in. Play premium hands only at the beginning of the tournament. The beginning of every freeroll tournament is filled with newbies who will push their chips all in with any pair of cards. Avoid the temptation to play against them just because you see that they are unskilled. You have to play the cards that you are dealt and not play against them. Sometimes, newbies can get lucky and you can get caught with a bad beat. Watch for when the table dynamics change. As the newbies drop off, you will be left with more experienced players. Now you can use more tactics since these players will understand the cards and actually fold if they see something that threatens them. Avoid stealing blinds with poor hands at the beginning. Since the blinds are so small at the beginning, it’s not worth the risk to steal blinds with a bad pair of cards. Also, most of the players, in the beginning, will not be knowledgeable enough to fold and will most likely call you. Play hands in position – play your strongest hands in early position, good hands in the middle position and most of your hands in late position. Never call an opening “all-in” or an over bet without a premium hand. This is because a lot of people push their chips all in pre-flop, to give the impression they have nothing when in fact they are holding pocket aces. Avoid slowplaying your hands – don’t give the impression that you have a weak hand. There will always be someone to call you in a freeroll tournament. Bet confidently when you have a premium hand. Observe the players at your table – after a few hands you will pick up their patterns and tactics. Avoid “Tilting”. Don’t let your emotions get to you and play the cards in your hand. Look for Tells – most players have a repetitive pattern that they aren’t aware of. Use them to your advantage. Freeroll poker tournaments are a great way to gain tournament experience, build your bankroll and obtain entry into big money tournaments. 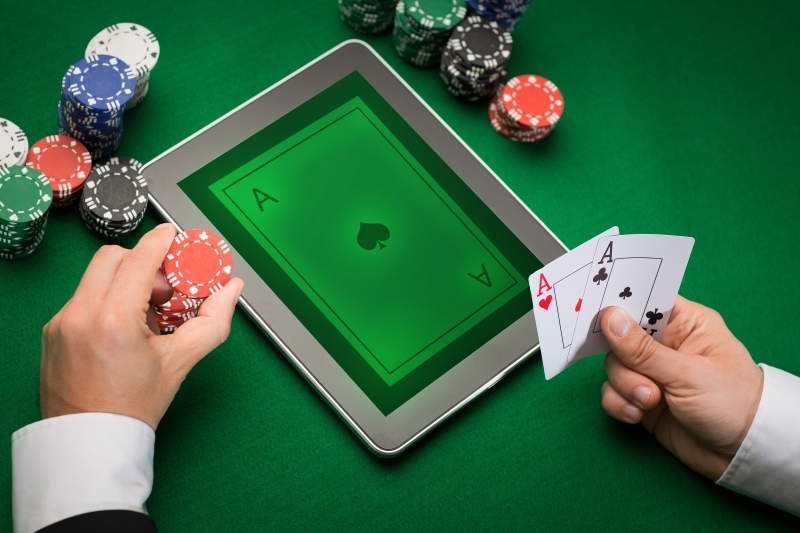 Use the tips above to learn online poker for free in your next freeroll tournament.